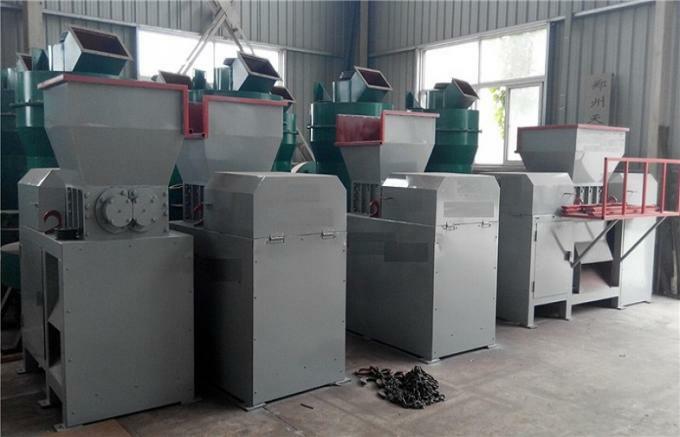 Double-roller shredder is widely applied in construction waste, industrial waste, domestic waste, municipal waste, garden waste, medical waste, food waste, and biomass materials waste crushing and recycling fields. For example, you can use double-roller shredder to crush scrap steel, scrap iron, waste rubber, waste plastic, scrap wood pallet, cloth, and so many big materials into small broken piece. 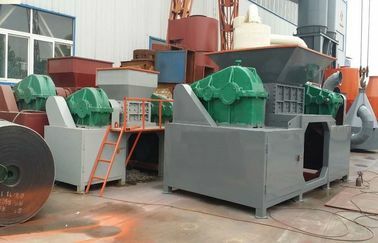 Double-roller shredder use dual-motor to drive dual-gearbox, turn high rotate speed of the electric motors into low rotate speed of cutter rollers by gearboxes, then cutting, squeezing, and tearing big materials, shred them into small broken pieces. 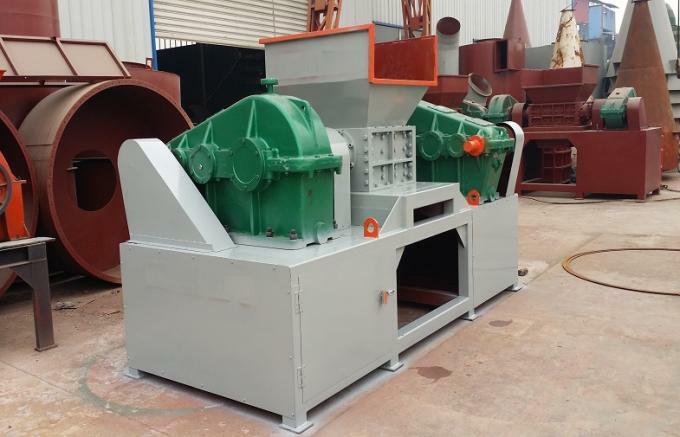 The rotate speed of the cutter roller is nearly 10-25RPM. Low rotate speed with high torque force. 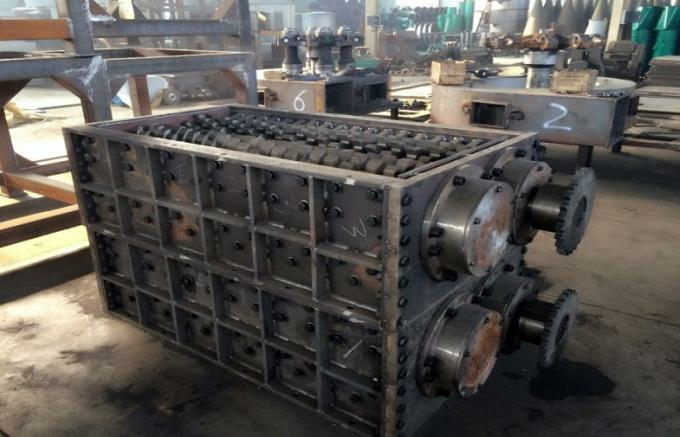 And the materials of cutters are high quality alloy steel with good abrasion resistance. 1. 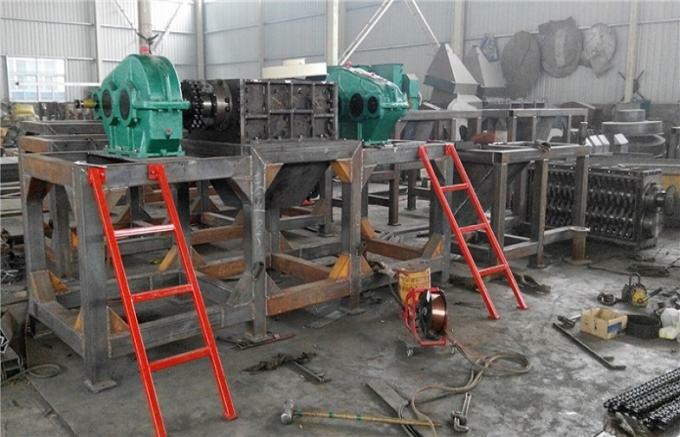 The rotate cutters are made by high quality alloy tool steel with very high tear strength, high abrasion resistance. The cutters are scalable and adjustable. And they can be sharpened repeatedly when they are blunt, long service time. 2. 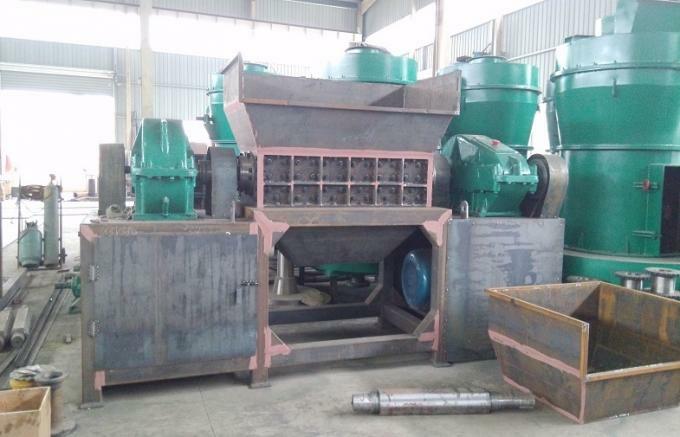 The rotate speed of the cutter is very low, the machine with high torque force, heavy energy with high crushing capacity. 3. 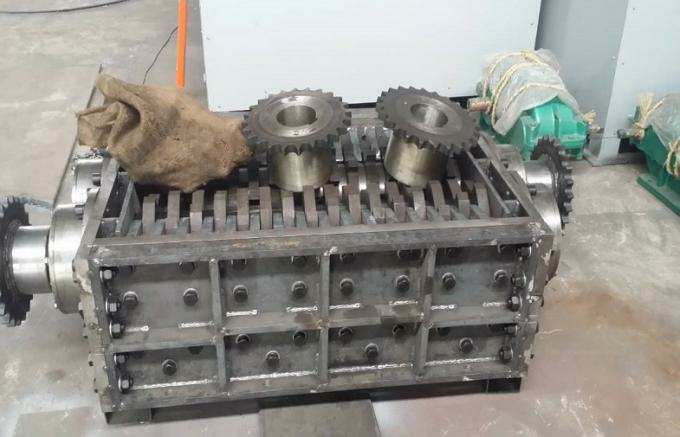 Composite structure frame made of special thick plate precision machining, it is very strong and durable, resistant high torque.